Currently I’m trying to figure out what my next project is. I started a future-set story about a teen prodigy racing pilot, but am having some trouble finding the right narrative thread. I’ve got a couple of other ideas I’m also playing with in the meantime. I am just starting another round of revision on my dragon mafia story, and I have a story about a girl in a future-NYC assassin’s guild which is currently out on submission. All are fast-paced, action-oriented, and a little dark in tone. What sets a book apart from others is always a little hard to quantify. I think in my case it’s a combination of the unusual story concepts, the speed of the pacing, and that I don’t pull punches. I like to write dark-toned stories full of mistakes and terrible events, which somehow nonetheless come to a happy conclusion. I write YA because that’s the category that felt right to me. Also, what I love to read best. My first couple of books were adult and MG, but it wasn’t till I wrote my third, a YA, that I finally felt like I’d found home. I’m drawn to books with heartbreak and grim moments, where things keep taking wrong turns for the protagonist, and yet they still don’t give up, they try to power through and make things right. I like protagonists who take control of their decisions, even if they end up making the wrong ones. And I like fast pacing and action that keeps me flipping pages. So that’s what I try to write. I’m a pantser, so I usually start drafting a novel with an idea of characters and setting, and a vague sense of the central concept, but I rarely have any idea of the main conflict until I’m a little ways in. I often know the midpoint climax and for the first half of the book, that’s what I write towards and what drives my plotting; once I reach that, I work out where I’m going with the ending. As I’m drafting I’ll plot one or two scenes ahead of where I am, but I don’t usually know what’s going to happen next until I get there. It’s one of the things that’s really drawn me to writing – in some ways, it’s not that different from the discovery of reading a book. Once the first draft is done I’ll usually do two or three revision passes on it, getting reader feedback for each one. My first pass often changes a number of scenes or plot points to improve plot and character arcs, but later passes tend to be more focused on strengthening character motivation, worldbuilding, and showing-not-telling. From here, the blog hop moves on to a few writing friends of mine. Technically the instructions for this meme say to tag three people, but I ended up reaching out to five. Swing by their blogs next Wednesday (April 15), give or take a day or two, to read about their WIPs and writing processes. I can see I’ve fallen into the habit of neglecting this blog. I think I’m just finding it a little too solitary for my social media needs at the moment. Like standing at the front of the room presenting, rather than mingling amongst a crowd – when your audience is small, you notice more, and it feels more lonely. I’m going to apologize in advance for a small rant I’ve had brewing for a little while, and which finally came to a head with the new Mortal Instruments movie (which I have yet to see, but doesn’t matter for this post). I’ve always liked Rotten Tomatoes. Since its earliest days I’ve checked out movie ratings there to see if something was worth watching – my time is valuable to me, and I don’t want to spend it on something I’ll find mediocre. It started out as simply a review aggregation site, summarizing the general consensus of professional critics. At some point they added a social component, that works for movies similar to how Goodreads does for books. More and more lately I’ve found myself paying more attention to the audience rating than the critic rating as a measure of how much I’m likely to enjoy a movie. I’d often find there was a discrepancy between the two, and I tended to agree more with the audience’s view. Which is a little shocking to me. Not necessarily that the critics are being so negative – that’s disappointing, but expected – but that there is such a HUGE gap between what the critics think and what the audience thinks. The explanation, I think, is an easy one: the critics are not the movie’s target audience. I would be willing to hedge that many, if not the majority, of them are men in their 30s or 40s or 50s. The movie, meanwhile, and the series of books off which it’s based, are both primarily targeted to teen girls. I doubt there are many teen girls among the professional reviewers. And yet, this simple fact seems to be lost to reviewers. My sister sent me this link to a review of the movie in which the reviewer comments that the story has many of the familiar tropes that appeal to teen readers (girl discovers one day that she’s had special powers that have been hidden her whole life and she’s actually part of some strange and wonderful new world and something terrible is happening and only she can save the day) as demonstrated by similarities in other successful teen movies (his examples: Harry Potter, Twilight, Percy Jackson). And then he goes on to grouch on the movie and how unoriginal it is, picking apart all the cliches and tired themes. At the end he gives it a rating of 2.5 out of 5. And I was like, Dude – did you even listen to yourself at the start? You just finished saying how it was the sort of thing that appeals to teens. Which are, it just so happens, the target audience, not grown men like you. Why are you rating the movie based on how it appealed to you, when you’re not who it was made for? Meanwhile, as of my screenshot, 83% of the over 18,000 people who’d rated it liked it. Probably a lot of them were teen girls. The same things the reviewer picked on as being unoriginal would’ve been the things that made the story so appealing to the target market. After all, the same thing happens with, say, action films, or superhero films – I’m not the target audience, and I think a lot of them are starting to feel tiredly familiar. I wasn’t that impressed with Pacific Rim – all fancy CGI and hero-saves-the-day and not much supporting story, I felt. But critics gave it 72% – probably because most of them are among the target audience. The sorts of people who like fancy CGI and hero-saves-the-day and will overlook lack of story if these things are done well. I think it’s unfair of professional critics to review movies (or any other media – this same thing goes for book reviewers, or video game reviewers, for instance) for which they’re clearly not the target audience. Their review ends up saying less about the movie and more about their own place in the market. Their reviews would carry the most weight if they stuck to the ones that fit their interests and preferences – then you’d truly know whether a movie was well-done or not. First, August 13 and 14 were WriteOnCon. I think a lot of writers already know about this, but if you don’t, it’s this great – free! – online writing “conference”. Over the two days they have lots of “events” – both of the lecture variety (in this situation, blog posts) and the workshop variety (chat rooms, with either live-asked questions, or workshop material drawn from posts made earlier to a specific forums; and twitter pitch sessions). I rarely “attend” any of the events, but the great thing is they’re all archived in perpetuity, so you can go back and check them out at any time. On their main page there they have a couple summary posts that link to all the different events. They’ve got a lot of well-known authors, agents and editors participating, so it’s worth checking out. Second, during WriteOnCon they also run a forums where writers submit their query/first 250 words/first five pages for feedback and critique from other writers and users. Ninja agents also patrol the forums, so there’s also the small chance that you might receive a request on your material. 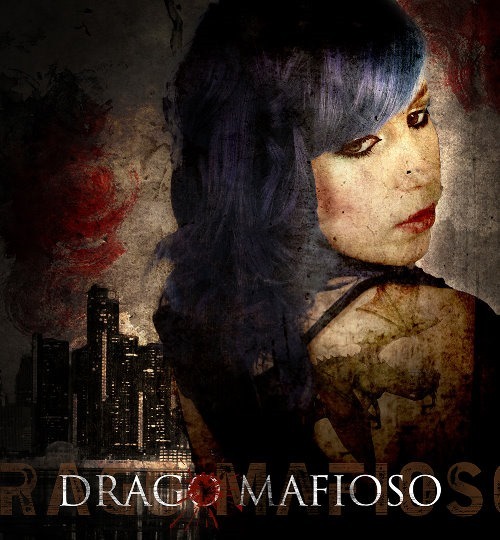 I’m already agented, so I posted my first five pages of my WIP, Drago Mafioso, just for fun and feedback. If you’re interested in reading them and seeing what I’m working on, they’re here. An extension of those WriteOnCon forums is they’re a great way to find potential CPs. I’m full up on CPs, but even still, I couldn’t resist contacting a couple of writers whose sample pages I fell in love with just to offer to beta their manuscripts (because I wanted to read them so much). I think most writers are flattered to be contacted by someone gushing about their story and will be happy to share, which can potentially turn into a friendship or partnership, so it’s worth reaching out to people if you enjoy something. Fantastic, no? I think it does such a great job of capturing the feel I envision of the story. 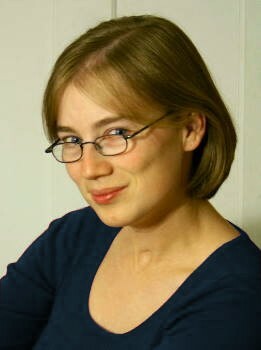 She does website design, too – I want one. Stars at Midnight is out on submission with editors. Some books sell in a couple weeks; some sell in a few months. Sometimes longer. Not knowing where mine will fall in that spectrum (I’m optimistically going on the assumption that it will sell), I’ve been trying to be patient (not easy!) and turning my focus to Drago and other life things. Like the upcoming City of Bones movie! Who’s excited? I live about an hour away from the nearest theatre that’ll be screening it, so it might be a challenge for me to make it on opening weekend (and I’m not sure that I’d really want to anyway), but I do want to go see it. I think it’s fabulous that so many YA are being turned into films. There’re some great stories there, and they shouldn’t be discounted just because they feature teen protagonists. Ally Carter and Cassandra Clare wrote great tumblr posts on the subject of YA movies – worth a read. It’s been a little while since I’ve posted here. I’ve had a couple of tabs open in my browser for a while, and few other things bookmarked, so it’s not for lack of possible topics. It’s partly momentum – been distracted by other things, out of the habit – and partly a recent feeling that, you know, a lot of what I’m saying here has been said many times before more eloquently and/or by people better qualified to talk about it. So I’ve been reconsidering what it is I want to do with this blog, what I want it to be, why it is here. Who knew blogs suffered existential crises. Second, I got the edit notes back from my agent, Rachael, on Stars at Midnight. She had brilliant and insightful comments, and I spent a few weeks working through the manuscript to make revisions accordingly. This included rewriting one of the climax scenes completely from scratch, in the other character’s point of view. I was really happy with how the new scene turned out; it’s so much better than the first version. So now it’s back in Rachael’s capable hands for a final tidy-up before going on submission. Third, I think I’ve finally settled on my next WIP. Much as I love the world and MC’s badassity in my space story, I realized (following some input from a CP who read both for me – thanks, Tessa!) that that was primarily what I loved about it. Meanwhile, with the dragon mafia story I love the conflict and character growth and interactions and overall tone, and maybe the world’s not as sparkly or the characters as badass, but that’s okay. When I first started drafting Stars I felt pretty uncertain about it, too. And fourth… there isn’t really a fourth. Actually, fourth: I’m disappointed that, with the finale of Game of Thrones last night, all my TV shows I watched over the winter and spring are now wrapped for the season. I really fell hard for Arrow, and of course Game of Thrones continued to be amazing through its third season, and I loved Elementary. I have a post planned talking a little more about my takeaways from them as pertains to my writing. But the quick sum: STORY. Mmm. I’m not sure if it’s just the online “circles” I hang out in or if it’s a wider thing, but lately I’ve seen a bunch of commentary and criticism on character diversity (or the lack thereof) in YA novels. I think as authors we have a tendency for our characters to reflect the people we’re surrounded by in real life, and for most people the folks we hang out with tend to be racially similar to ourselves. The majority of our friends and acquaintances are also physically- and mentally-average, simply because people with physical and mental differences tend to be the minority. Most authors (at least most of the YA authors I know) are white, and so the books we read tend to be populated by able-bodied, mentally-average white people. I know I was guilty of a lack of diversity in my first few novels, for all these reasons. I finally started trying to create a more diverse cast of characters in my fourth and fifth novels, with Stars being my most diverse so far (fortunately aided by the nature of the setting and cast). It definitely requires a bit of conscious effort and mental retraining. DiversifYA is a new blog started up by Marieke Nijkamp (also of the YA Misfits) and Alex Brown, dedicated to discussing diversity in YA fiction. They’ve started out by presenting interviews with a number of writers who identify themselves as a minority in some way – in race, physical ability, mental health, sexual orientation, etc. The interviews are honest and open and, I think, a great way for writers (and everyone else) to get to know a little bit of what it’s like from their point of view. Definitely worth checking out! More good news for a friend! When I first started following writing blogs I noticed that there were often circles of agented/published writers who all seemed to be friends or CPs: Kiersten White, Natalie Whipple, Stephanie Perkins; Cassandra Clare, Holly Black, Maureen Johnson. Although I knew they would all have started from scratch just like me and my friends, it seemed like something foreign and perhaps outside what I expected would happen for myself, being a part of a successful group of writers like that. Like, in theory you could become the president, if you worked at it, but that’s something that happens for other people.